Public Access Defibrillators. Made easy. DO YOU ALREADY OWN A CARDIAID DEFIBRILLATOR? 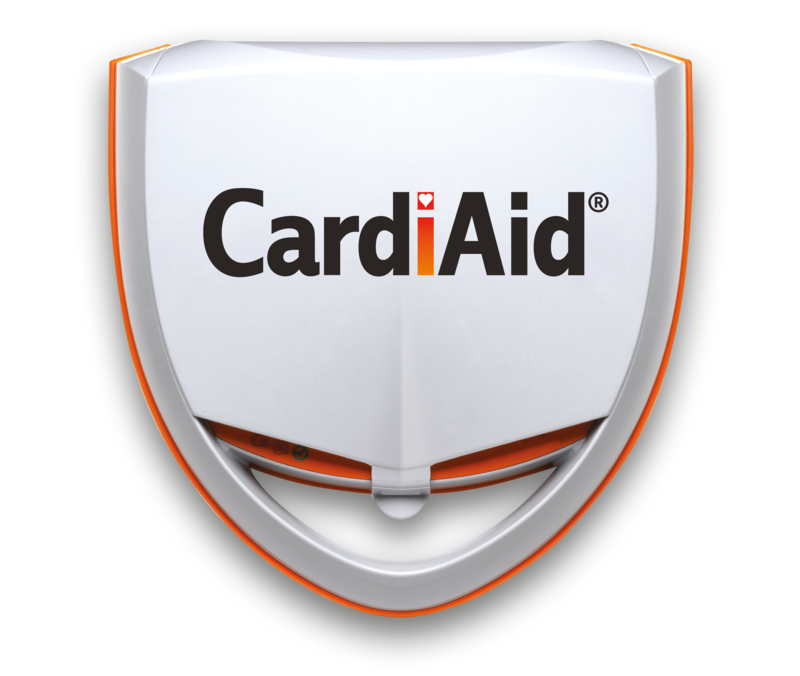 What is a CardiAid AED? The CardiAid AED (Automated External Defibrillator ) public access defibrillator is designed to be the simplest and clearest possible defibrillator for public use, making it possible to administer an electric shock with a minimum of delay to anyone suffering acute heart failure. The CardiAid AED public access defibrillator has been designed for public use of defibrillators in mind at places such as children’s day care centres, schools, sports complexes, doctors’ surgeries, veterinary and dental surgeries, or any type of premises with large work populations. The CardiAid AED public access defibrillator is completely safe to use. Our German manufactured defibrillator only delivers a life-saving electric shock when the analysis has determined it necessary. 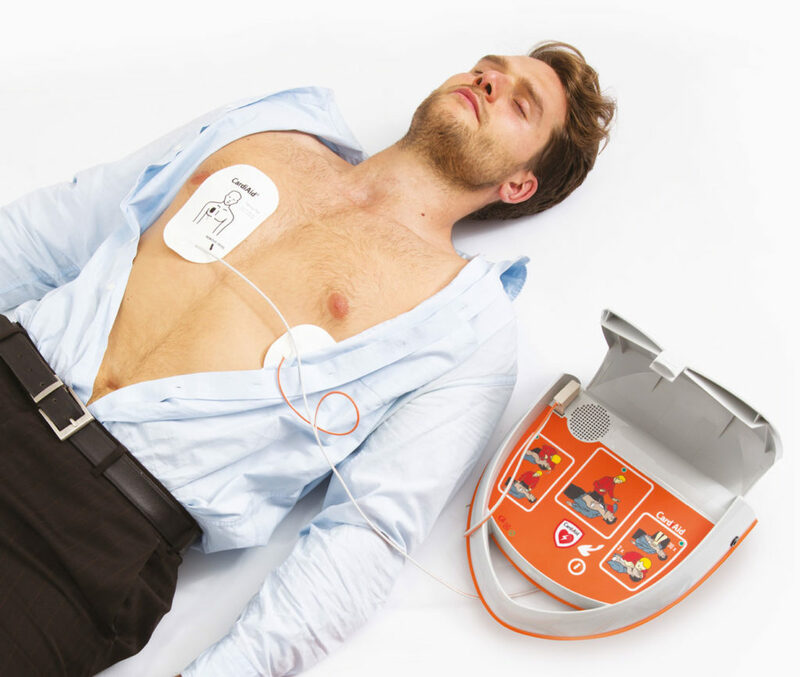 With Fully and Semi-Automatic CardiAid AEDs you can be safe in the knowledge that a shock is only delivered when it detects a shockable rhythm. With such features as pace maker detection, you can rely on this entirely. A loud voice giving clear instructions guide you through the resuscitation process, along with clear pictograms. A metronome provides the heart massage rate. The AED produces strong visual and auditory guidance to help support you in the deployment of our defibrillator. Why do we need public access defibrillators? Sudden Cardiac Arrest (SCA) can strike any person, anywhere, anytime. When someone collapses from SCA immediate defibrillation and cardiopulmonary resuscitation (CPR) are essential for any chance of recovery. Immediate treatment is critical for SCA victims since survival chance decreases by about 10% with every minute without defibrillation. Authorities agree that defibrillation should be provided as early as possible, preferably within the first 3 to 5 minutes. Even with the fastest emergency medical service system, the professional may not be able to reach the victim on time. This results in the necessity of the lifesaving defibrillation to be delivered directly on the site of emergency within the first minutes and by any responder.